There are few things more personal than investing your hard-earned assets. 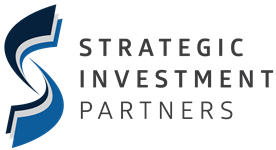 At Strategic Investment Partners, we sincerely care about the financial decisions our clients make and work hard to educate them on their choices. We like to tell our clients that we’re in a relationship business, rather than a transactional business. We get to know our clients on a personal level before we even start talking about investments. We make the effort to understand their past, present, and future, and work with them to develop strategies that are tailored to their unique situation. We offer a high level of service to a smaller amount of clients. While we specialize in retirement and post-retirement planning, we also work in close collaboration with the children and grandchildren of our clients. We believe that the more educated a family is about their investments, the more efficiently they can plan for the future. We take pride in the fact that the trusted relationships we build with our clients often span for generations. Our primary concern is putting the client first. We are an independent firm, meaning that we aren’t tied to any proprietary products or services. We believe this offers a number of benefits to our clients, including regular communication, professional guidance, planning-based portfolios, and a greater level of transparency. With over a hundred years of combined experience, our team will work diligently, get you the information needed to make the right decisions in regard to your financial matters, and help you make sense of the ever-changing financial landscape. Whether you are looking at retirement, providing for your loved ones, or leaving a legacy, we will help you develop strategies to pursue your financial goals and educate you throughout every step of the way.